Frederick Lowy moved to Montreal in 1946 at the age of 13 and enrolled in BBHS where he sat on the Student Council and was the Managing Editor of the The Echo in 1950. He went on to study Medicine at McGill University, graduating in 1959. Lowy began his medical career in psychiatry working at Montreal’s Royal Victoria Hospital, the Montreal Neurological Institute and Allan Memorial Institute. 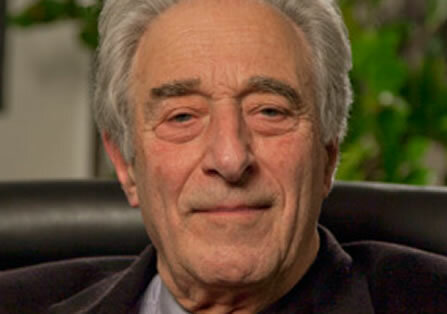 In 1974 Lowy moved to Toronto where he served as Chair of the University of Toronto’s department of Psychiatry, and from 1980 to 1987 and then as Dean of the Faculty of Medicine. He was the founder and first Director of the University’s Centre for Bioethics (now University of Toronto Joint Centre for Bioethics). He returned to Montreal in 1995 as President and Vice-Chancellor of Concordia University. He served as Interim Executive Director of the Sauvé Scholars Program from 2007 to 2008 and was elected to the Board of Directors of the Sauvé Scholars Foundation in May 2008 and retains the title of Honorary Chair of the Jeanne Sauvé Foundation. He has also served as Senior Advisor to the President of the Trudeau Foundation. He has lectured and published widely, his most recent publications examine ethical issues which face modern physicians and health science researchers. Lowy is a Fellow of the Royal College of Physicians and Surgeons of Canada, a Life Member of the Canadian and American Psychiatric Associations and the American College of Psychiatrists. He is also a member of the Canadian Medical Association and the International Psychoanalytical Association. In 2000 he was named an Officer of the Order of Canada. He has received honorary degrees from the University of Toronto (1998), McGill University (2001), and Concordia University (2008).